The world of photography is often neglected and abandoned from the spot of the media. Many assume that the photography is just about the passion and hobby and therefore they are doing as they please. But that is far from the truth since many of the photographers are defending their lives and incomes to the world of photography and their business. Today, the primary source of the creator of the photographer is the third party seller platform which is the Getty images or the Shutterstock. We do familiar with the two companies, but little of them know the bitter truth is concerning the two companies, which we are going to explain below. The companies employ a stringent and demanding policy that is hampering the progress of the photographer and thus stripping off the profit and the right of the photographer. Here we will sum up several concerns that now exist within the current ecosystem. Not every centralized thing are wrong, in fact, we do need a centralized standard such as currency and system so that it gives us certainty and several degrees of rigidity. What we do mean about centralized in this scenario is the photographer, in which here is the content creator is often left behind in the term of the profit generation process, making it a one-way process in which the company control the whole profit generation process and leaving the creator suffering. One of the central issues of the photographer here is the right. The right in this scenario is the right or the licensed photos. In this case, the creator is just don’t have any reason once they already submit their pictures inside the system of the platform. Even if the creator is selling the photos outside the system, they need to report back the profit to the platform otherwise they will be getting the legal ramification which is annoying. These points actually correlate with the first point. This is actually the sad, grim truth about the world of photography where the creator is just gaining a trickle of the profit generated by the system, whereas the company receives more than 85% of the benefit. The professional photography is not merely randomly flashing your camera around and making a profit. It is actually a cumbersome task when sometimes the photographer needs to be in several difficult spots and often shoot thousands of pictures just to get one specific picture that suits the desired output. What we mean here is the lack of the transparency in the big companies. We do realize that not all the thing are needed to be published to the public, but some points do require openness. But that is just what de big companies lack, where they are reluctant and even not willing to share their data concerning the licensing process, the profit generation and so forth. This is what upset the professional photographer, and thus such a cycle needs to be disrupted. But luckily, as the technology progress, the world is becoming more and more decentralized, where there is merely a lot of disruption and groundbreaking invention that is very fundamental to the realm of business. The rise of startup businesses, especially the one who relies on the blockchain system are becoming predatory to the old ecosystem where they are destroying or at least giving alternatives to the old ecosystem that if proved to be injustice and inefficient. There are a lot of businesses that are currently reforming and thus providing a new business opportunity to make things even better. And such luck is also bestowed to the realm of photography, where a new startup is on the rise, called the remark platform. Wemark is actually one of the most promising startups that will disrupt the whole old ecosystem that is hampering the creativity of the creator itself. As we can see, the creator is having a difficult time gaining profit, and this platform is actually the best platform to increase the benefit of the amateur and professional photographer alike. Here are several reasons why the wemark is worth trying. The first and the most obvious reasons are the profit. We already know that the big companies are giving only a trickle of the strength whereas they are generating more and more profit daily. That is actually very troublesome and need to be changed since it will heavily discourage the content creator. In the wemark platform, the situation is just reversed, where the companies are gaining a trickle of profit per photos and the rest of the money goes to the creator. This is what more interesting on the platform, where the decision making is entirely back to the user. The creator can sell their pictures for the prices that have been set by themselves, and thus is more rewarding for the creator. We do want to ensure that the creator is keeping their creativity and accordingly being rewarded for such effort. And to do that we need to give the creator more right and more role to determine in this form of business. To put it just, on this platform, the part of the creator is significantly higher compared to the previous old ecosystem that is diminishing the part of the creator. One of the most critical factors In the business is giving the proportionate flow of information to the user or the customer. This is what makes them more appreciated and thus will convert them to a loyal customer In the meantime. Having a loyal customer is apparently one of the primary focus f the company, and one of the most critical points is having some degree of transparency. We do understand that not all kind of information is required to be published, but at least only the one which is critical such as the licensing and the profit generation process. Such information is essential to be released so that the customer or the creator understand for how much they need to pay, how much they need to spend money, and how much they will gain profit per photos. In the artistry world such photography, one of the most crucial point is the license of the pictures. The grant will determine the ownership of the photos and thus make it protected by the law and gaining the creator the rights of their own creation which is obvious. But unfortunately, such cases did not occur in the big companies since they retain most of the license for themselves. The platform will give the license to all the photographers regardless of their skills and their photos quality and thus make the creator more liberty and right about what to do with their own images. They also don’t need to report back to the platform once they are making the profit to the images that have been licensed by the platform. Becoming the part of the wemark platform is effortless. First, you need to make your own portofolio on their website. This is important since the platform need to know about your capacity and your skills also experiences concerning the photography. After creating the portfolio you can start to upload the photos of your own and to get the license, you need to pay several amounts of cash at one time. The payment here are using the token of cryptocurrency, and therefore it Is not very expensive in the end. And you don’t have to worry since the licensing is a one-time process and therefore you don’t have to pay several times for your licensing process. For further information concerning the system of the platform, you can access the link below. Every platform will have their own roadmap to determine their own degree of success. And this platform does have the roadmap. 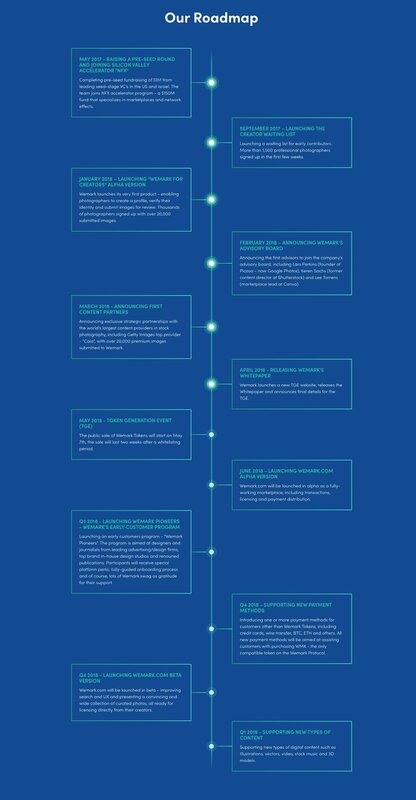 Here are several points of the roadmap of the platform. 2017 is the important year for the platform, where they are signing the contract of the NFX companies that specializes in the market research. The NFX are investing their money in the platform for about 1million dollars. The platform is also opening the waiting list for the contributors or the photographer that are about to sell their own photograph on the platform. And as the website claim, more than 1500 professional photographer are signing the contract just in the few weeks. At this point, the platform is releasing the very first product, which it enables the user to create a profile and submit their own photos in the platform. There are about 20 thousand offered pictures just a month after the release of such content. This event is followed by gaining the advisors, which is several of notable individuals in the term of business, such lee torrents, as a lead marketing in canvas, Lars Perkins, founder of Picasa which has been purchased by Google and becomes the google photos and etc. the following month is the release of the whitepaper of the platform to become the guideline both for the platform and the user alike. This is yet another critical period of time for the company. The company will sell their token called the wemark token to the public for the first time. Such token will be used primarily for the transaction that is occurred within the system, and hopefully, that includes the purchase of the pictures as well. And in late 2018, the platform will be transformed into a full working marketplace where many can purchase the photos that have been provided by the photographer for some period of time. As we can see above, the token supply is meager compared to the other platform where they can reach billions. And the hard cap is also shallow, which is just about 8 million. Which mean that they only will sell that amount of the token, as the rest of the token is used for another purpose. And that is what makes the price per token is rather higher compared to the other token amount, and this will make the sale even more interesting since the token is worth investing for. And the second most intriguing thing is, the allocation of the token supplies, here is the information concerning the token allocation. As we can see, the token allocation is rather unusual since the token and the community rewards are almost identical. No other platform is employing such allocation in the vicinity since they implement a huge proportion of the token supply to the sale alone. 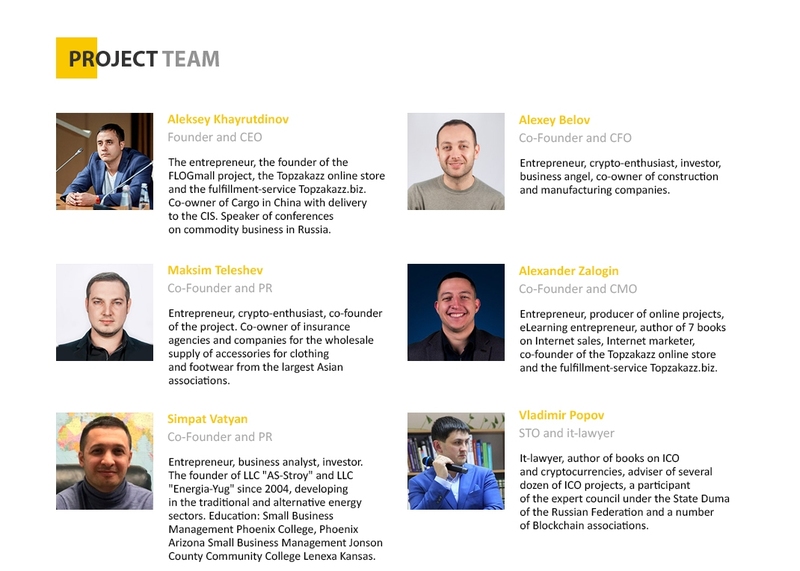 The board of advisors, the founding team and employees, are also gaining more token allocation. What we can learn from this basic information here is, the company is dropping more token to the community to reward them for their contribution in building the companies, along with the founder team and the system. That is working along with the dream of the platform to give more reward and profit for the content creator and thus destroying the old ecosystem in which the creator is suffering since they just don’t get enough profit to continue on their project. Digitalization has a positive impact on many aspects of life. Online purchases and sales have become a growing digital marketplace. The use of the digital market to acquire every human need will help you to have the convenience. Every feature possessed by the concept of the digital market certainly has some drawbacks. Trust becomes the central capital for online sales to be at the level of success. Purchasing goods and services transparently will undoubtedly increase the level of confidence so that it can increase transaction volume. The quality of the products or services obtained from the online platform also needs to be taken into account. Maintaining trust and customer satisfaction is the main thing that every online business needs to do. Increasing the technology empowerment to support life is so important that everything can be done quickly and precisely. Technology that supports digital sales globally has started to open on the internet. Everyone anywhere can connect without any obstacles. When everyone is easily connected then began to emerge on a digital platform where it can facilitate every human need. Digitalization began to change the concept of the market where everything is done in the virtual world. Everything you can get without face to face with the seller. To support the role of the market in facilitating human activities, the FLOGmall present as a digital platform that brings together sellers and buyers. FLOGmall comes as a form of marketing that can be used by producers or sellers to trade their products. The platform will help you as a seller to get consumers with a broader market reach. FLOGmall provides a place capable of presenting products qualitatively to attract buyers. An increase in the consumer’s trust index is also noticed by providing many exciting features. Sellers can easily get subscriptions when they have an excellent product qualification. FLOGmall aims to change the market of goods and services as a whole armed with market analysis with marketing targets throughout Indonesia. A free bulletin will get you that can bring together buyers and sellers. Each service is accessible by using tokens so that the platform is a revolution of e-commerce and investment. Existing and running e-commerce does not always have the right access to market the product to the world. Existing e-commerce tends to be at the marketing level of a single country while access to existing networks can connect everyone from different directions. The international market concepts need to be developed from the beginning of the founding of the platform so that it can reach the target market quickly. FLOGmall has been present as a platform with the aim of connecting all people from all over the world to enjoy the services of a highly secure, convenient and affordable market of goods and services offered at an affordable cost. FLOGmall implements a payment system with tokens as a form of increased transaction convenience. The token will speed up transaction settlement to provide services to all ecosystem participants. The concept store brought by FLOGmall provides its uniqueness called LiveStore. The store will directly offer up-to-date information regarding in-store developments such as best-selling sales, to the ongoing conditions of the store. The concept will reduce the level of a fictitious store so that only real existing stores can update information. The content provided by the seller can be a recent video and a blog about the seller. Anything distributed by the seller can show the real goods and services offered. LiveStore format can help you to have a reasonable assessment by confirming the authenticity of the quality of the products or services provided. The concept of platform development can be found entirely through white paper and ann thread. Exciting features offered by FLOGmall as a form of innovation for the market that is currently available. To attract buyers, FLOGmall needs to provide unique and useful features for buyers. This concept will help sellers maximize revenue by utilizing the functions provided by FLOGmall. The LiveStore concept can increase the credibility and trust of everyone to spend money on a digital platform. The unique and creative idea of FLOGmall can be through LiveStore poured in several sales concepts as follows. The seller can show store, production office in video format to improve business confidence. Recent store condition updates can also be easily done live. The recording you make will have an opportunity to enhance your store reputation. The store declaration will be provided via video that is easily accessible to the audience. You can quickly provide information about the latest services, promotions, and products that are in your real store. Video ads can be easily marketed. Short videos can serve as the most effective medium for introducing your products to the public. FLOGmall will give you the opportunity to create a video blog to report an essential promotional event. With video concepts, you will also have the chance to stream video streaming, game models, and video auctions. You can make streaming sales that are part of the platform feature. The platform is very open to run video ads to increase transaction volume. Any video contained on the platform will also be automatically protected. The concept of sales by prioritizing digital media such as video will facilitate the buyer in determining the product. Live streaming will help everyone know the current state of the store, and prove that your business exists. LiveStore helps you to increase the confidence of buyers who are looking for products or services that suit your needs. FLOGmall becomes the most comfortable platform to find your daily needs without having to worry about the authenticity of the store. The currently developed digital platform uses the concept of applying tokens as a payment method. This token becomes a digital currency or cryptocurrency that supports ease and transact. The idea of token use has been widely adopted to help ease of payment. FLOGmall uses the Mallcoin token as a payment unit used for every transaction located on the FLOGmall system. Mallcoin becomes a token of a limited number, so there is no inflation going on in the long run. The token sales event is held to redistribute many tokens at the start to obtain contributors. Support for platform establishment will help ecosystems dash. The exchange of cryptocurrency plays an essential role in maintaining the liquidity of transactions on the platform. The exciting innovation of FLOGmall is the built-in concept that is available to exchange tokens automatically. This concept is called ATES which is dedicated to Mallcoin. Any accredited investor may have the opportunity to resell the MLC held within one year after purchase. Transparent and straightforward systems can be upgraded with internal tokens assessed by algorithms concerning the level of clarity. This will help you gain open access to internal tokens. Clarity algorithm in token sales will always be maintained between site and seller customers. ATES will have the authority to make purchases of MLC directly on the available site. ATES manufacture is first intended for token holders who make purchases on preSale, PreICO, and ICO. There are several conditions that each contributor needs to understand after having a token. The requirements that need to be considered by each contributor will know with certainty the concept applied in the platform. The tokens obtained from the FLOGmall team will be blocked within two years. The period of six months and its use is limited. Each bounty participant who has a token will be stuck for three months. Allocation of 2,500,000 MLC tokens is used for real charity support. The project will be assisted by funding with token sales within eight years. All periods will be gradually blocked token tokens. Blocking will be done for each month in the range of 1% of the total number of tokens that apply unless the last amount represents the remaining tokens to be cashed. FLOGmall will provide a backup token that will be partially blocked and used when needed only. Especially for a backup token, will be free from blocking of 20% and then be used to keep the work running. As much as 80% of the total overall backup tokens will begin to be distributed in May 2019. The distribution process will last for two years. The distribution also intends to attract new users in the international market. The addition of the number of ecosystem participants will increase the level of liquidity of the transaction so that will facilitate the achievement of the transaction target. When you are interested in joining a token contribution, you can register on a web page. Your donation can be made within a specific time frame. Then you need to be very clear about when token sales period will take place. FLOGmall uses Mallcoin as a token to make payments for transactions made within the ecosystem. Mallcoin Token (MLC) is a security token whose offer is offered to accredited investors. Any investor who will contribute will be executed based on the requirements stated in the rules. Procedures in purchasing an MLC token are worth noting because each country certainly has different jurisdiction laws. The purchase of tokens as a form of contribution may be made from jurisdictional legal considerations imposed on a nation. The acquisition of tokens can only be made through crowdsale. This will make it easier for anyone to have a limited number of tokens. Each sales period also has different time limits and distribution numbers. PreSale has taken place on the platform from 14 December to 14 January. Soft cap specified at presale is $ 500,000. Mallcoin’s sales are at 1 ETH for 6000 MLC. The specified hard cap is $ 1,000,000. After PreSale, Pre-ICO will be enforced on the FLOGmall and crowdfunding platforms. The pre-ICO is implemented from 22 February to 22 March 2018 with Softcap 3000 ETH at 1 ETH sales level for 3000 MLC. Hardcap in this period amounted to 6000ETH. Then the most awaited is the ICO which will be held on FLOGmall platform. ICO will take place from 26 April to 21 July 2018. 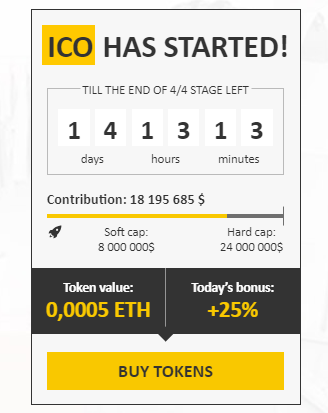 The value of soft cap from ICO is 8,000,000 $ and hardcap 24 000 000$ with a sales rate of 1 ETH for 2000 MLC. On ICO contributions can be made with Ethereum, Bitcoin, KickCoin. ICO dates may be rescheduled or extended. You can follow updated information through the website or also social media. The transition of fiat currency usage to digital currency is inseparable from the continued use of online transaction services. Payments with third parties are considered more expensive as they apply a certain amount of fees. Cryptocurrency signifies that a new era in finance has begun. Digital currency can be used as a valid payment method following the provisions of the platform. FLOGmall creates a new layer of cryptocurrency holders. Each holder is not a miner or trader or investor. Every person who is incorporated in the ecosystem will have an audience role that will use cryptocurrency to transact. Every transaction made will be related to the purchase and sale of goods and services. FLOGmall provides an ecosystem environment that puts the best experience to faithful participants. Both the seller and the buyer will get exciting features to engage in digital transactions. The FLOGmall platform will act as a market that brings sellers and buyers into new concepts. The LiveStore concept can erase issues in the e-commerce world associated with fictitious stores and quality that do not fit the description. The use of cryptocurrency can help speed in settlement of transactions that occur within the ecosystem. Everyone will have the opportunity to get cryptocurrency in the ecosystem. The future becomes the primary focus of the development of every technology that exists today. In the future, it is expected that every utilization of technology can be done with the maximum. Starting the entry of the world into the era of digitalization, the more ease the movement of humans in conducting activities. One of the most significant improvements is in the sales and purchases online. E-commerce becomes a concept that connects everyone with shopping sites for both goods and services with a simple running system. The increasing use of cryptocurrency also triggers the creation of a comfortable and secure digital payment system for every digital transaction. FLOGmall becomes one of the platforms that are ready to provide convenience and convenience in e-commerce transactions. As a form of revolution from e-commerce, FLOGmall presents a new concept of LiveStore. Features in LiveStore greatly facilitate the ease of interaction delivered with video. Various types of videos you can apply such as blogs, ads, and the current situation of the stores that are incorporated in the platform. These features are on a platform that can be used to increase sales volume. The use of video also affects the authenticity of the store. Immediately join the FLOGmall platform and get the latest revolutionary e-commerce experience. When it comes to transportation service, it is only right for you to trust your faith on the RedCab company. This is the new transportation solution platform with advanced technologies to offer you decentralized ecosystem that benefits all customers involved. The first launch of its mobile app got positive feedbacks from customers. Why, of course, it is because there is rising demand, especially in metropolitan cities. They see massive potential in the industry because of that. Don’t you want to know then what is featured by the app and what the RedCab can serve you with? Let us see below. The first beta version of the mobile app did go live in 2017. Since then, it has been available on both App Store and Google Play. Back then, the company commenced its soft launch in a small touristic spot by the Red Sea. It was done for more on hand operation. Not to mention, they did intend to test the car hailing service. Seeing how well it is accepted by the people, you know it is worth to expect for. Let’s see what features they offer. First things first, one of the things featured in this mobile app is its global reach. In fact, it is one of the main aspects in the business approach used by the RedCab. Now that it is like this, you know this feature is nothing small at all. Well, as the name suggests, the company ensures that this app can match different languages around the world. Not all people are knowledgeable enough to use international languages, like English. That is why we need more language options to pick one from. There is more than one in this world after all. There is no need to worry though. This mobile app we are talking about here is supported by over 6 different languages. Out of the options, there should be at least one that most users are familiar with. It is not only about the language though. This mobile app is also linked to global maps. That is why it can match and cover various user experiences. Not to mention, there is diversity of car options and categories as well. Now that is what you can expect from transportation service provider. You get them all covered right there. Time is precious for all of us. Customers would not possibly want to spend their time waiting for rides for so long with uncertainty on their part. That is why the RedCab features this in this mobile app with sense of urgency in mind. That being said, each customer has their own behavior. Some might tolerate things, but others might not. Thus, the RedCab tries to get better insight of it by powering the app with pre-scheduled option. With this option too, they can plan for the network dominance as well as the work load balance. Customers don’t have to go through complicated procedure. All you need to do is to manage your schedule by planning the road trips through timer and notifications. We guarantee it would be convenient for the customers. With the RedCab, it would be possible to catch your plane, attend meeting, and other things you have planned on your schedule for the day. There is no need for you to worry about missing out any of the plans. Now, you should begin to see that you can manage your trip at finger tip. There is this very app after all. When it comes to the transportation service of this platform we are talking about here, carpooling is one that you would find it necessary to be featured in the mobile app. Why wouldn’t it be? With carpooling feature, you can expect the RedCab to be able to create a ride. Not to mention, you can invite the hailers nearby or even trip companions. Everything is possible with multi drop off and pick up locations. Now, that is what you can expect from reliable transportation service provider for sure. Not many providers can serve clients this far, right? Such thing is not what carpooling can do only. This feature makes sure that customers won’t have to worry about traffic jams. What’s more? It is actually possible to split the ride fare, thus resulting in low cost for the transport. Also, the company strives to make your trip as enjoyable as possible. To realize that, they make sure that the engine can match the riders by considering their personality traits seen from their profiles. Whether you want someone to chat with or to be all alone, the RedCab makes sure to live up to the expectations. Sure, people need transportation to get to their destination. However, sometimes there is a need to travel and arrive formally as well. Usually, such need is for important figure. You don’t have to worry though, the RedCab mobile app is also featured with luxury trip too. With their service, you can entertain business persona with prestigious travel experience. Going to work, meetings, hotels, or airports will be fun and glamorous. Now, you know the RedCab transportation is not there to drive all of the common people to their destination only. It is certainly there for important people that need special treatment too. Need to be known, the RedCab works in partnership with high end car manufacturers. That is why customers can get the on hand experience with luxury cars without doubt. Of course, the company would make sure to offer you with high end services for those seeking both uniqueness and specialty. At the tip of your hand, you can simply make the order and they would work as best as they could to meet your needs and expectations. The RedCab is ready for everything. From most car hailing services, it is important to have this peer to peer feature. In fact, it has been the normal standard one offered. Despite being the standard, having no such feature would lower the car hailing service’s quality. You don’t need to worry since the RedCab is nothing of that sort. Give https://redcab.io/downloads/Whitepaper_EN_v1.0.pdf a thorough read and you will be able to understand the reasons. Well, peer to peer is one important feature. We can’t ignore the fact. How important it is can be seen from what it can do. The most obvious thing that this very feature can do is to enable us order a ride and to even get the nearest driver possible when you need it quick. As you can imagine, the business will go smooth with such perceptive service. Then, it makes the company capable of making their service both rewarding for the drivers and beneficial for the riders. Of course, everything will be charged with the lowest price fare possible. Also, there is blockchain technology used. With it, you can absolutely do secured transactions for using service of the company. Now that you have learnt what’s featured in its mobile app, it is the time for you to find out just what services they have to offer for us all. You might have drawn conclusions from reading all the available information of this new transportation platform here. However, it would be easier to understand if we point at least the main ones here to see what their priorities are and what they simply cover in their service. Now, let’s just get down to it and see if you can find what you expect for. RedCab firm is worth expecting for after all. If you are looking for unique trip experience, the RedCab company is what you can expect good things from. Be it from airport to hotel or vice versa, you can get the best service ever if you go with this transportation service solution. After all, the team has done deep study for the purpose of understanding the needs and experience of tourists and country visitors. Not to mention, their service is offered pre-scheduled or on-demand trip. The choice is all yours. You can choose what you see fit for whatever purpose you need transport. The RedCab has its own recommended hotel options too. Basically, the options will be sorted by three things; proximity to the airport, proximity to the city, or most recommended one. Of course, those options will be reviewed or simply ranked by the users. Sure, the hotels will get the chance to advertise and recommend tourist or visitor destinations around. This platform strives to be there for all kinds of customer. You don’t have to be tourist to make good use of RedCab services. If you are first time visitor, it still makes the best one of all. Many transportation service providers nowadays are not just there to offer a ride for those who need them. Sometimes, customers do need their ordered goods to be delivered without them having to go out on their own to make the purchase and fetch the goods personally. There is rising demand for such service without doubt. However, retail business owners and restaurants are having problem with high cost of logistics and operations. This is where the RedCab delivery fleets can help you with. They present to solve the issue for them. How can it be? Well, the team does make the effort to power the world class crowd sourced delivery fleet with performance matrix and service levels. They go this far for the sake of delivering better customer experience. Not to mention, they care about giving a fraction of the cost to the business owners. Now, you see that drivers and customers are not the only ones to benefit from this new transportation solution here. Don’t you think the RedCab makes good business partner too then? It is worth considering. You don’t find such transportation service provider just anywhere else after all. The last main service of the platform is their pick up service. They know that everyone wants to be picked up. After all, it is convenient to have someone coming to drive you to your destination, without you having to go to them yourself. When the weather is bad, surely you don’t want to go on foot to get to them, right? It saves much of your time too. That is why pick up service is important and many transportation service providers have been offering such service for their customers too. Now that you know its importance, it is a must to have it included in one’s service, right? The RedCab knows this well too and they don’t ignore the need of it. You can absolutely find it from their business model. Also, they are using decentralized network to operate. So, the RedCab community will do their job to pick up their customers depending on where the order comes from. Yes, it actually depends on their location. They are sure to come to wherever you are. There is o need to walk somewhere to get them notice you as well. We have reached the end of this article. What do you think about the RedCab transportation solution platform after that? Don’t you think it is one promising service provider to take into account? Why wouldn’t it be? Their mobile app covers lots of necessary features that include global reach, scheduled rides, carpooling, luxury trip, and peer to peer. What’s more? They are there to provide everyone involved with services, like hotels & airports transportation, dedicated delivery fleet, and reliable pick up too. You can expect no less from the RedCab. With them, you can really make your trip at your finger tip. It is worth trying. There are several developments in the realm of business, especially in the last two years. Nowadays, the term business has been significantly changed, to the point of innovation explosion and making tons of business type which has never been seen before, emerge in this very decades. This is mostly caused by the explosion in the information and technological realms which is never been felt before. Nowadays, the face of business is forever changed, since the very methods of business conduct are already changed dramatically, a good reason for this statement is the emergence of the cryptocurrency business. This business is usually referred to the platform business which operates mostly on the internet, where that platform usually provides services, not goods. The most significant changes following the emergence of these business platforms are the rise of the electrical usage. This is understandable since the first cryptocurrency and the blockchain system that has been introduced is the bitcoin currency. At first, this business has a very slow pace, with skepticism from the society. But as the world grows, more and more people recognize bitcoin as one of the methods of payment, the value of this coin has been significantly skyrocketed to thousands of dollar in a matter of days. This makes the bitcoin very promising for the investment by all the people, from then, the value of the bitcoin is steadily rising by days. There are several ways to mine the coin, which the most popular methods are using the computer and the graphics card powers. This is obviously energy consuming and make the demands for the electricity raised. This because the computer needs to constantly run several series of program and coding which requires a great deal of power. Meanwhile, the miner must maintain the heat of their devices to prevent overheating and destruction of those devices, and therefore they deploy tons of cooler such AC or fans and therefore consume so much energy. This is pretty worrying since as we already know that fossil fuels are not a renewable type of energy and therefore need to be preserved as best as we can. The main solution is not to annihilate the mining process since the cryptocurrency kind of business is the proof of technological advancement, the solution is to move the miner to someplace where mining can be effective, and also use the system which will reduce the usage of their electric needs. The solution also needs to ensure effectivity for the miner to mine the currencies and therefore attracts more miner and opening up the new business field for the world. Fortunately, this kind of business has already emerged, called the swiss alps mining. This platform emerges to tackle the core of the problem, which is to reduce the usage of the electricity that is currently rising since the mining operations are increasing all over the world. This platform promises the electric usage can be reduced up to 50% and therefore making the mining operation energy wise and effective. As we have stated before, the mining operations in the bitcoin realism require a huge deal of energy since they are running their programs non-stop. This will make the devices extremely hot and without the proper cooling system, it will be very dangerous for the miners to continue their operations. The platform will locate the mining center in the slope of Alps mountain, in a moderate to high altitude. Low enough to be protected from the blizzard, and high enough to receive the proper temperature. The mining operations can take place in this particular spot where the temperature is cold enough to reduce the usage of electrical demands. As we have known, swiss alps slope is the the home of countless abandoned cabins which are under the threat of destruction. This cabin is abandoned due to the new zoning policy that is really far from the Alps slope and thus making this place desolated and abandoned. These cabins are the remnants of the past where the Switzerland people use to farm and use those cabins to rest. Since agriculture are no longer the backbone of the country, those cabins are abandoned. The mining operations will take place in those cabins and thus will preserve them as a cultural heritage. The mining operations will not change or reface the appearance of the cabin as the mining operations are space-wise. Cube is a sophisticated cooling system state-of-the-art. This is the pride of the the mining platforms which are currently being deployed in numerous mining spots. This cube is actually a place where the graphics card will be stored and run as the miners are running their programs to mine the coin. The cube employs the cutting edge cooling tech, along with the already cold temperature, making the graphics card are last long and able to run faster and thus generating more coins. The cube system is what makes the platform energy wise and therefore environmental friendly. As we already know that the Switzerland is the house of thousands of water power plants. This is because the river provide a proper stream that allows the turbine and the engine to produce enough electricity for the entire city. The platform will construct several water power plants near the mining spots and distributes them to the cubes. By using the natural resources, therefore the electricity will be very low, or half the price compared to fossil fuels per kilowatt. The mining is the core process for the platform, and therefore this platform will provides every features that seems able to improve the efficiency of mining. The platform has a smart mining system which is called samaix. This system will evaluate and analyze the smartest and most efficient way of mining, which come in the form of recommendation. The miners then can adjust the programs or the system in accordance to the recommendation and thus gaining more coins. This system will surely increase the mining output compared to the other mining process. As like any other cryptocurrencies that uses the internet to conduct the payment via the token, which are protected by the blockchain system, so do this platform. This platform is protected by the cutting edge blockchain system that is already present nowadays. By employing this system, every transaction that is located within the system will remain concealed by any other and thus prevent the data stealing. This system also will protect the number of tokens that the user have, and ensuring the clarity of transactional history by any user of the platform. As the infrastructure grows in the alpine slope, and the world of cryptocurrency getting more and more spotlight from the world economy, therefore the usage of this platform will be very critical. S far, this platform has no competitor which has an exact quality as this, and thus making this the best mining platform that soon will be well known. As the demands for the arose, the value of the token which are issued by the platform will also rise. This will make the investor are gaining profits by owning the token and making it a very prospective investment area in near future. The cube, or the mining operations center is obtained via renting. The rent period is ranging from the months to a year, or in accordance with the package that is offered by the system. As usual, the rent payment is using the same token that will be available after the private and public sale. The sale will be thoroughly explained below. The will be a lot of transaction that will be occurred within the system, such purchasing the electricity, maintaining the graphics card and so on. You don’t have to worry about the price since it will be relatively cheap. That transaction must be conducted via sam token and in sam token only, as no other currencies are acceptable for the services of the platform. If you own the other currencies and want to employ the services of this platform, therefore, you need to exchange those currencies first. There are several amounts of the token that will fall into reserve category and there are several amounts of token that will distribute to the government such as legal and companies inquiries. The users will be provided with the token wallet with us used to store the token that they own. The token can be used to conducts the transaction within the system, and the user will be able to convert those tokens to for the more reliable sources such dollars, euro or any currencies. The wallet will be completely encrypted and only the wallet owner that can access the content within the wallet. As for the sales result, the funding sectors will be these specific areas, which are the hydropower plants and the cube maintenance, the salaries of the employee, marketing, and promotional expenditures, cube construction, legal, and system maintenance such blockchain system and so forth. the transaction and the usage of coins conducted by the company can be observed by the users and therefore it is healthy and transparent business platform. As for the sale, there are two kinds of sale known to the system, which are the private sale and the main sale. The soft cap for both sales is 100 million dollars. The private sales will be divided into two tiers which have their own cap and their own price. 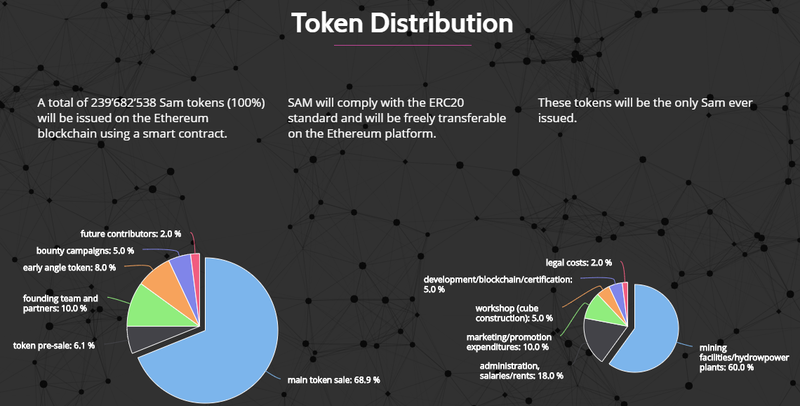 The private sale tier one will cost 0.3 dollars per sam token, as the private sale tier two will have 0.4 $ per token. The hard cap for those tiers in the private sales is 5 million dollars. If you do interest in the investment, therefore you can join the pre-sales since the coin will be sold higher gradually by the rise of the tiers in the public sales. The public sales will consist of four tiers, which the cost will rise gradually starting from 0.5 $ per token to 0.8$ per token. It means that if you sell your tier one private sale token, you can sale those tokens and get profit 0.5$ per token. That is a huge profit for you and therefore worth investing. 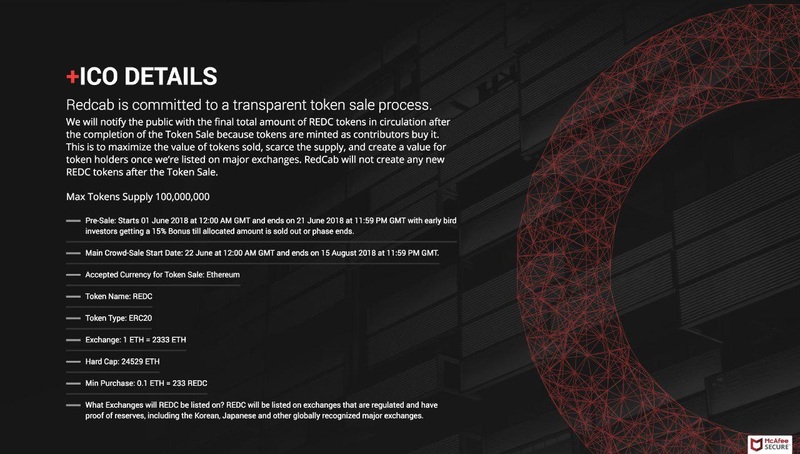 The ico has been started on June 6th and will be end on July 27th. The prospect of this platform is huge and endless, and therefore the value of the token will also surely rise over time, making this platform a perfect investment and business partner.